In an effort to give customers fresh flowers that are as radiant as the moment they were first plucked, florists use an assortment of stay-fresh techniques. While the exact application of these techniques varies slightly from florist to florist, nearly all florists use some variety of these basic practices, be it a small neighborhood florist or a national giant like ProFlowers. Though flowers enjoy basking in the sun prior to being cut, once clipped, keeping them cold is a must. 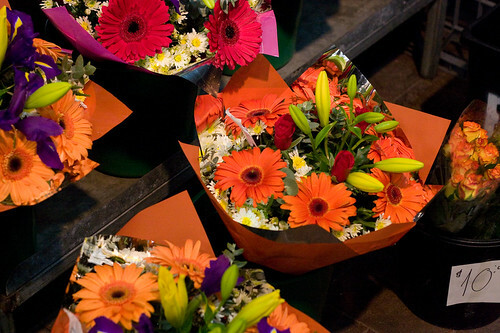 Florists often refrigerate their blooms to allow them to last longer. Some floral delivery companies use refrigerated vans so their blooms stay chilled until they arrive at recipients’ doors.